Designed with stately, yet rustic sophistication, the Outland Collection is a solid choice for your outdoor home entryway, porch, garage, or building. 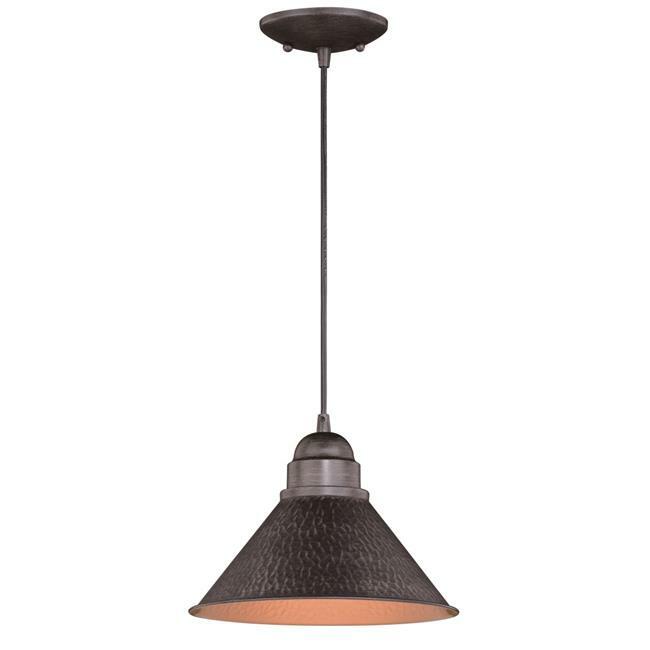 The textured, aged-iron finish gives the fixture a warm and inviting elegance, and the gold finish inside shade adds to the charm. This fixture is dark-sky compliant.